(AFP) — UNITED NATIONS — The US Ambassador to the United Nations called on the international community to speak out on the unfolding protests in Iran, saying the US would seek emergency UN talks on the situation. 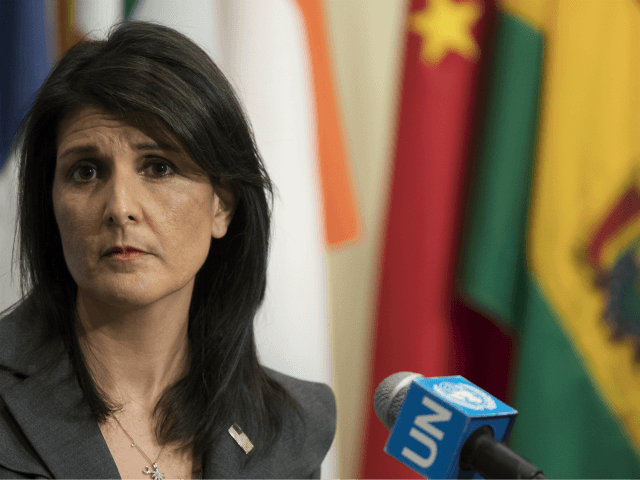 She said the United States would be seeking emergency sessions of the UN Security Council and the Geneva-based UN Human Rights Commission in the coming days. “The freedoms that are enshrined in the United Nations charter are under attack in Iran. Dozens have already been killed. Hundreds have been arrested,” she said. “If the Iranian dictatorship’s history is any guide, we can expect more outrageous abuses in the days to come,” she said. Khamenei had blamed the country’s “enemies” earlier Tuesday for almost six days of deadly unrest that have shaken the conservative country.